Over the last few weeks, I have been spending some time working on model building in SAC(SAP Analytics Cloud). While the tool is extremely intuitive and easy to navigate, there are some areas where I had to spend some time, especially – model building with public dimensions. I wanted to share my findings with all of you & help you understand the difference between the different approaches to model building in SAC. Hopefully those that are starting to work on modeling in SAC will find this useful. There are two ways in which Analytic Models can be created and deployed in SAC. Models are created with dimensions in the reporting source file. I’ll cover both the approaches in this blog and briefly discuss the pros and cons of each approach. Once you select the model file you wish to load into SAC, you will see this. On creating the model, you will see this. The model is created based on the fields in the data source file. These dimensions can be extended to add additional attributes, e.g. MATERIAL_NAME or hierarchies. The key is these dimensions are built based on the values in the model file (Inventory). To alleviate the con in the prior approach of not having a reusable set of dimensions, the second approach can be followed. Creating the model using public dimensions in the second approach is an entirely different set of steps. To create a model using the public dimensions, several steps need to be followed. Here’s an example of the Customer dimension. All public dimensions will mandatorily have an ID and description field. Additional attributes can be added. Hierarchy (more than one e.g. primary, alternative) can also be added. All required public dimensions need to be first created before setting out to create the model. To leverage the public dimensions, it is necessary to have a Blank Model created first. Account – This dimension will be used for any measures in the file. All numeric data fields will map to this dimension. The dimension should contain all measures that are expected it the file. This dimension can also be created as a public dimension or private one. Add public/generic dimensions – Now we can add in the public dimension that have been pre-created using the Dimension creation option available in Public Dimensions. To do this, select the ‘+’ sign in the dimension pane and select one of the dimensions to be added. Once added to the model, these dimensions will show up with a Globe against its name on the dimension area. 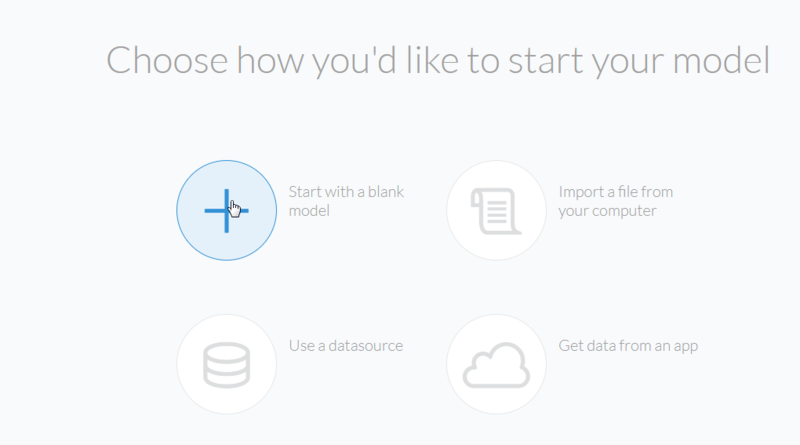 After all required dimensions are added to the blank model, data can be uploaded into the model using the data upload feature, with the current model selected in the Model Browser. On uploading the model, SAC presents you with a mapping confirmation screen that looks like this. In this interface, mappings can be reviewed and corrected. On the right are additional options and stats on the data uploaded. If there are any issues with the data – e.g. duplicate rows, orphans etc., it will be presented here. Refresh schedules can also be setup in this area. Once data is imported from any of these data sources, you should see an option to see and set the refresh schedule. SAC also provides you with information on the daily scheduled refreshes, any data issues etc. When setting up schedules, the public dimensions should always run prior to the analytic models that utilize them. If this is not done, you could see orphaned data being rejected in the model data load. Type of data pre-processing for dimensions that can be done via the uploader tool is minimal. In conclusion, while the use of public dimensions may seem like additional work and modeling, this approach can be beneficial overall. Thanks for reading this blog. I welcome feedback and your thoughts on the above. The blog is very clear and well explained. Thank you for taking the time to write this up. I had an additional question about the Public dimension which I am not able to get my head wrapped around. How does the data in the public dimension, maps to the data in the files. 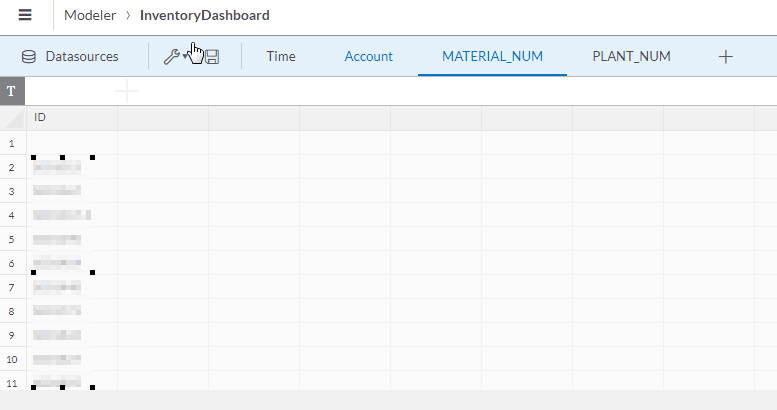 In your example, how does the data from the incoming file know, which Customers to map the Inventory data to. One additional con to using public dimensions is that not all standard datasources are supported for scheduling refresh. For example it is not possible to schedule based on a SAP ERP (ECC) connection. 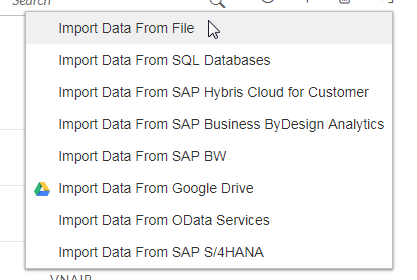 In that case you will need to use a private dimension and use transactionnal data load based on Infoset or SAP Queries which does also create missing members and their attributes. At least one measure is required but it can be created on the fly by duplicating a column and filling it with zeroes. Sames goes for other dimensions which you can fill automatically with # member or by creating another dummy column.